You are invited – Celebrate International Biodiversity Day at Adams Lead Reserve with ‘Friends’. International Biodiversity Day is on Tuesday 22nd May. All are welcome to join us for a Picnic Lunch/BBQ followed by a Walk and Talk to see “Biodiversity in Action” in the reserve. Head to Goolma Road, Gulgong, 600m south west of the Mayne Street – Castlereagh Highway roundabout. As it is also Volunteers Week we will take the opportunity to thank Kay Binns and Di O’Mara for the many hours of support they have given to Adams Lead since 1989. An amazing 29 years! Wow what dedication! “Friends of Adams Lead” (FOAL) members have had a very busy and productive year. 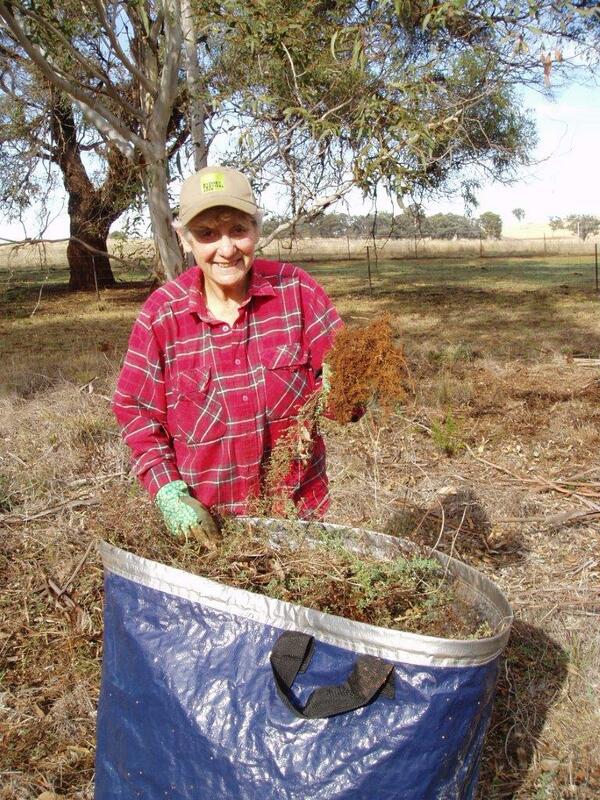 This was reported at the Mudgee District Environment Group’s AGM on Saturday 12th May. (FOAL is a subcommittee of MDEG). See http://mdeg.org.au/focus/adams-lead/ for more info. Looking back over the year we reflected on our focus for 2017 – 2018 to facilitate the restoration of the Box Gum Grassy Woodland in the reserve and reduce the impact of weeds. In 2017 we experienced an outbreak of Cleavers, therefore other weed eradication actions had to be postponed. These weeds are very invasive therefore they were a priority. Our attack strategy developed in line with our weed management principles, was to apply a thick layer of mulch to affected areas. We were concerned that using this technique might kill not only the weeds but also the native plants. However, we were pleased to see some appear. As of the last working B on the 5th May there has been no sign of the Cleavers. During spring and summer FOAL members tackled the blackberries and sweet brier with great success. There is still one large clump of blackberries and some small outbreaks to eradicate. During April and May recycled logs from a vinery have been placed alongside the paths. These will define the paths giving guidance for mowing and for visitors enjoying the walk and reading the information signs. Currently we have a happy and hardworking team who turn up to the working B’s the first Saturday of each month and to special events. Thanks! Adams Lead would not survive without you! It’s not all work at Adams Lead. Each working B we gather for a break and a chat over morning tea. Why not come next Tuesday and say “Hello”?